when assessing a person’s overall health. In alternative healing, it is believed that the spiritual aspect should also be taken into account when assessing a person’s overall well-being. The spiritual aspect refers to the essence or “core self” of a person. Holistic healing addresses an individual with this philosophy. finally manifesting in the physical body. We have the capacity to start our healing before illness manifests in our bodies. 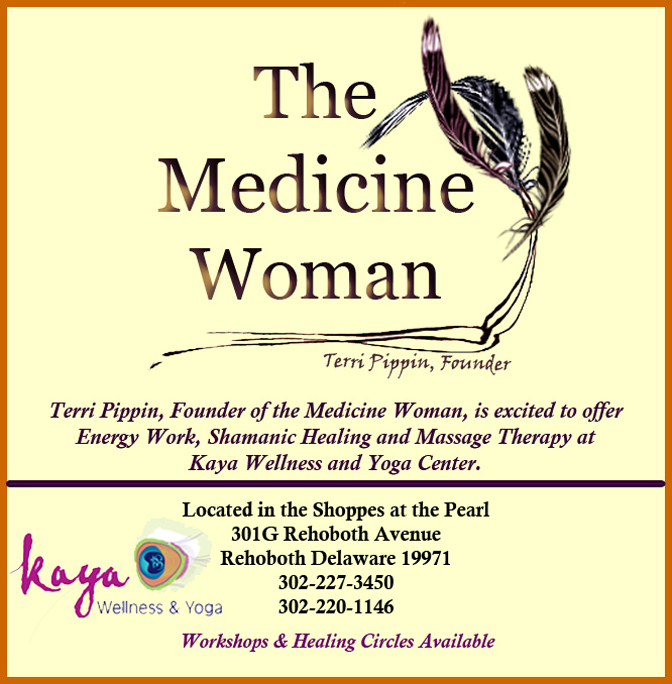 Terri Pippin, founder of The Medicine Woman, brings Energy and Shamanic Healing to Kaya Wellness and Yoga Center. Her work helps individuals address this ordering as it applies to both illness and wellness. floating in the space surrounding our bodies called the Aura. The best way to keep the aura healthy is to keep the seven major chakras balanced. The unique thing about chakras is that they will correct imbalances in both the aura and the physical body when they are healthy. With balanced chakras, the body will start healing itself and continue, until health is optimized. 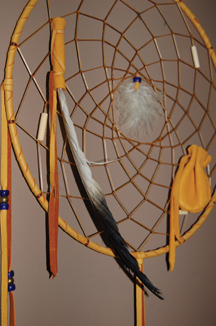 Shamans are said to treat ailments/illness by mending the soul. Alleviating traumas affecting the soul/spirit restores the physical body of the individual to balance and wholeness. A Shamanic professional, who is a highly-trained and very often spiritually selected individual, is sometimes known as a Shaman. The Medicine Woman at Kaya offers a broad range of Holistic Healing modalities. Whether you’re feeling overwhelmed by life’s responsibilities, facing illness, feeling stressed, tired, or healthy and seeking some transformative work, The Medicine Woman has modalities/services that can meet your needs. If this is new to you, the best approach is to call Terri Pippin at The Medicine Woman and discuss with her the most appropriate service to meet your needs. Although many services are available, the best approach will be a healing regimen that is tailored to an individual’s needs. Terri frequently offers Shamanic Healing Circles. These are group services that promote healing and growth. It has been said that for each year of imbalance in one’s life, one month of Holistic Healing is warranted. Holistic Healing requires courage, awareness and patience with the process. The end result is a healthier, happier and more confident you. A visit to The Medicine Woman at Kaya is your first step to your total healing. For more information, call 302-227-3450 or 302-220-1146. 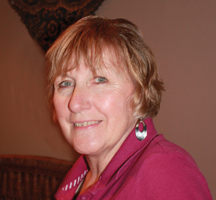 Terri Pippin, CMT, Reiki Master & Shaman, is founder of The Medicine Woman at Kaya Wellness and Yoga. Terri started her spiritual journey of healing twenty-five years ago when she was first introduced to meditation. She has been a Certified Massage Technician for the past 14 years. Her journey has included the development of Reiki skills, culminating in the achievements of the Master Reiki Level in 2007 and the development of several energy healing techniques. The Medicine Woman is trained in both Celtic and Native American Shamanism and has been a shamanic healer for the past 12 years. ← Previous Story TOUCH….Isn’t It What We All Crave?